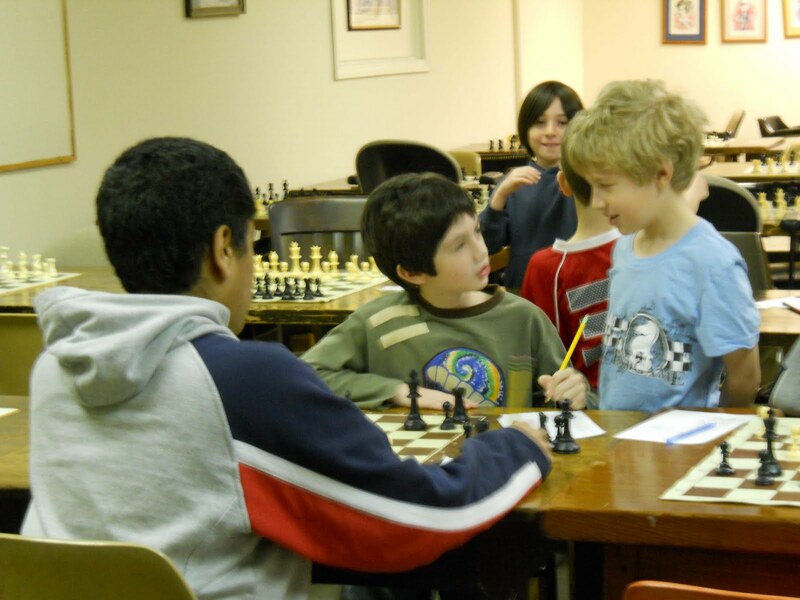 The Boylston Chess Foundation’s April Chess Camp was a resounding success. 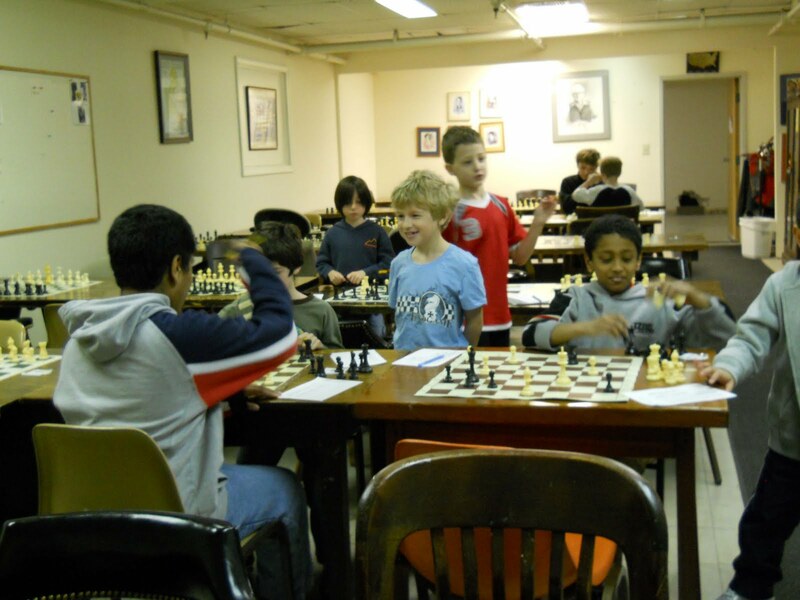 Ten young people expanded their chess horizons while having lots of fun in the newly remodeled club space. 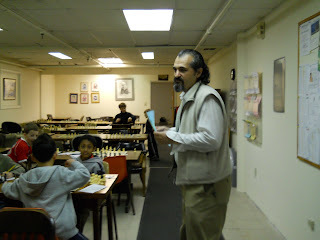 As usual, instructor Senior Master Jacob Rasin shared plenty of his chess knowledge and wisdom with the group. The next BCF Camp is in June. Check our website or the MACA website for details. Here are a few photos from the camp, taken by budding photographer Winston Huang! Well my tournament of 4/23 was not one of my best days. What's amazing is that my wife Pat always has an a sense of what my performance will be and doesn't telegraph it; but she knew I would have a bad day. IM Marc Esserman arrived too a bit too late to play so he camped himself in the skittles room and proceeded to assess Veselin Topalov vs Viswanathan Anand game as it proceeded. In addition he strives to assess every Smith_Mora played in the hall giving participants a critique. Of which Paul Mishkin had two Smith_Morra's games one with each color. It's way cool to have an IM just sit and contribute to chess as it happens. Especially when Marc is giving out info that's not in theory. Because of losing two games in a row in the open section qualified me with a bye., Marc volunteered to be a houseman and we played a certain opening that he was preparing for a certain opponent that I am pretty strong at. Being his sparring partner I got ripped up but I think each of us learned something. Later Paul MacIntyre dropped into the club visited the skittles room and contributed his insights and feelings into games going on. Support from such strong players is priceless. Do you have any story of skittle room contributions that you can talk of? IM Marc Esserman's lecture on the Smith-Morra Gambit on Thursday night, April 15th, was universally well received by about 20 in attendance. Those who came to watch included IM Justin Sarkar (who is a good friend of Esserman's despite their sharp contests in the Smith-Morra), FM Steve Stoyko, and Yaacov Norowitz. 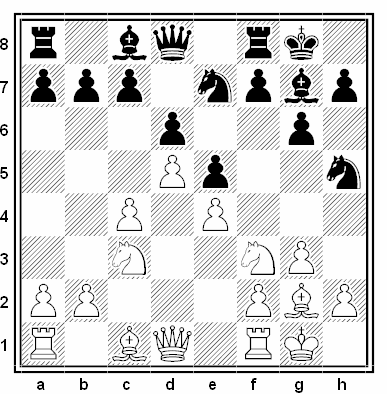 After the lecture, Esserman gave a thematic simultaneous exhibition, playing the Smith-Morra as White against eight players. As Yaacov pointed out, this was a tough exhibition since "he is starting a pawn down on all eight boards!" Based on my experience (losing in about 20 moves), he could have spotted us all an additional pawn and still won every game. 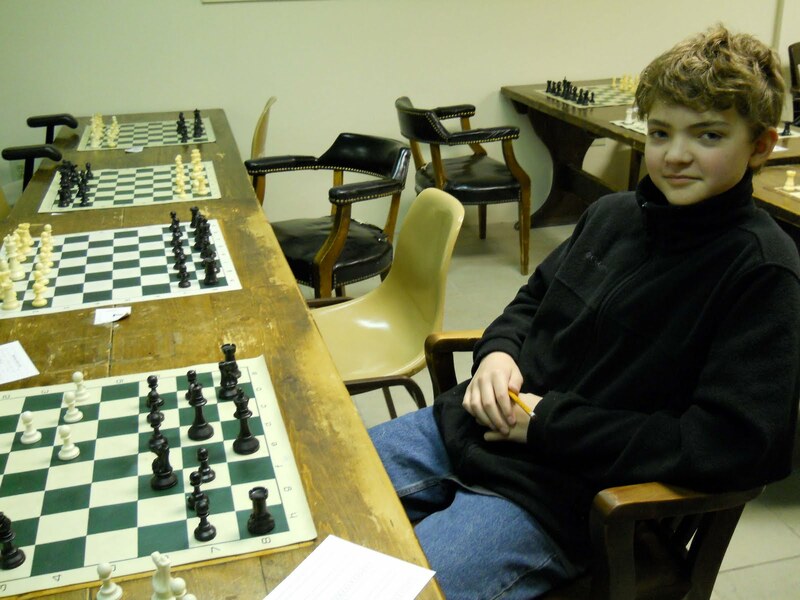 Though the average ELO was over 1830 (with a master and two experts among the players), Esserman made relatively short work of it, going 8-0 in just over 90 minutes. NM Mark Kernighan lasted the longest, but it was an 8-0 wipeout vs. 1830 average opposition. In my dad’s favorite movie Let It Ride (1989) the lead actor Richard Dreyfuss plays a character named Jay Trotter who has the dream day of his life at the horse track. The uncles on both sides of my family were track fanatics. With great delight my dad went into great detail explaining what appeared to be odd behaviors, in my dad’s eyes the movie nailed track society. In the movie art expressed the greatest track fantasy. On Friday 4/9 my job was eliminated: declared redundant and unnecessary due to acquisition and reorganization. Yet on Saturday I was kind of up-beat walking into the BCF because of how good the club looked. To celebrate our reopening , after being closed for several weeks due to the two great floods, the BCF hosted the $10 Under Water Open. 33 players arrived to play four rounds of game60/55. 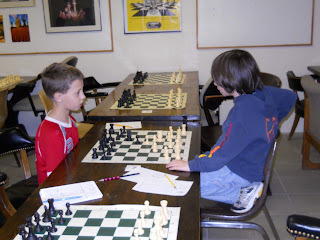 and I get into a conversation where I make the claim that Soviet chess teaching is based on control and dealing with what the position allows you to do. But to me chess has a little bit of poker in it and when facing an opponent who is equal to you, you might have to “go all in” at some point to press for a win. To which Denys responds: “Poker is a game of chance, Chess is not that way…….” It’s then when I find out from director Bernado Inglesias I have white against Ilya Krasik (2281) and Ilya is going to be a bit late. Illya arrives with 22 minutes on his clock /55 on mine. I play a Smith Morra declined but I’m forced to give up two pawns because of my play and in order to keep developing; the position is very crazy. Illya, pressed by time, makes this not so good move that allows a combination that eventually wins a rook. Illya runs out of time. Griffin 1.5 points against masters. I am having a very good day. IM Marc Esserman gives me the secret Smith Morra victory hand shake that only Smith Morra players know after registering victory with the “theoretically” unsound attack. Marc withdrew as he was suffering neck pain, with two points in two rounds. I wonder if he’s giving me a chance to try and catch Shmelov. Man aren’t I dreaming big? 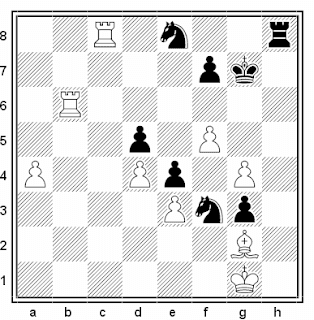 Round 3: What does this play get me: black against opponent Steven Winer (2446). Never in my life have I faced two masters never mind three?! I play the Classic Dutch against Steve’s d4. What is amazing around moves 10 thru 12 I realize Steve doesn’t know the theory and is winging it. To be honest I have never witnessed a live version of the Classic Dutch, only in databases. The Dutch Leningrad is the norm with an occasional Dutch Stonewall. The game comes to a critical position, later In post mortem Steve says to me: “As I was thinking Mike can’t play into this position, you proceed play to that combination.” This combination dissolves the position with me having a slight pull. Steve asks: “ I offer you a draw.” It was as if the oxygen was sucked out of the hall, all of a sudden people are hanging over the board. I immediately accept knowing I probably would find more ways to lose than win. Griffin 2. points against 3 masters no losses. I am having a very good day. Dazed I step into the skittles room out of the fog steps Marc Esserman and says: “Mike you are playing at 2300 strength today , keep this up and you are due………………” . Starting Round 4: I’m thinking give me Shmelov(2480): Appropriate Chess vs All In. Karma is on my side today. Many players in the open have withdrawn; probably because I am way out of balance the gods pair me with Paul Sciaraffa (1807). I have white and kept on pounding Paul’s kingside eating up a great deal of time. Paul parries every threat. I force a perpetual because I’m out of time. Griffin 2.5 points Back to earth. 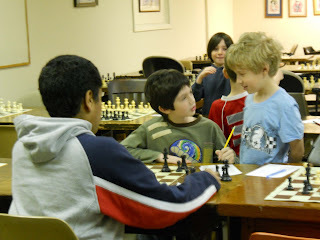 What was cool about the day was how happy with me were my chess comrades. Have you ever had a very good chess day? 1.to put into suitable literary form; revise; edit. 2.to draw up or frame (a statement, proclamation, etc.). BCF landlord used the word redact in describing the act of removing the bottom foot and 1/2 of sheet rock on all the walls at this end of the basement. Then once everything dried blue board was used to replace the redacted sheet rock and then taped, skim coated, sanded, finished, then painted. 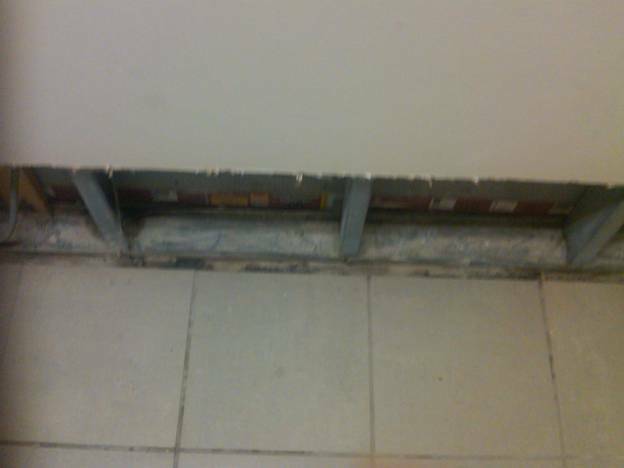 Blue board has much greater water resistance properties and is often used in bathrooms. All furniture and shelving had to be moved into the middle of the rooms, much of it stacked on it self. The sanding of the blue board caused everything to be covered with a fine white dust. On Friday April 9th Jason Rihel led a group of volunteers ( Paul MacIntyre, Tony Cortizas, Frank Wang, Tifiny Wang, Clara Wang, Andrew Wang, Max Chia-Hsin Lu , Max 's mom, Charles Riordan, Alex Cherniack, Natasha Christiansen, Mike Griffin- hope I didn’t miss anyone) that attacked once the painted walls were at least dry enough to go into action. We moved all "soft stuff" into the Go Club, all chairs were placed in the hallway. Then the floor was washed and the furniture wiped down. What at 4pm was an incredible mess began to look encouraging two hours later. Everything now had to be moved back into place. Charles Riordan was the strongest player in the club that day: physically stronger, as he was taking one side of the books shelves and Jason and I the other and moving them back into place. If the BCF resorts to arm wrestling in case of tie break Charles is at an advantage. Charles also seemed to be the guy that had to scurry out of the way as each book case was pressed against the wall. For this effort Charles was rewarded with many skid marks of paint on his clothes. By the end of the night the club looked better than it ever had. The tireless Jason worked until about 9:30 pm and returned Saturday morning. The club was ready for chess. As mentioned before setbacks sometimes build a community stronger and it’s definitely the case here. The Rhode Island Chess Association is a non-profit organization which helps promote chess for children & adults in Rhode Island. This is my final flood update. As of Friday night at 9:00 PM, the club has put the flood of almost one month ago into the past for good. The club is clean and ready for action! The Paramount, Thursday Night Swiss, and our Saturday events will now once again be held, without interruption, in the chess club space. Our walls are back and painted. The floors were cleaned. The tables, chairs, cabinets, and so on were cleaned and put back in place. The Skittles Room was cleaned out and reorganized, and much accumulated old junk was tossed into the junk heap. There are small things to do--still some boxes on shelves, still some things out of place. Please be patient with those minor points. 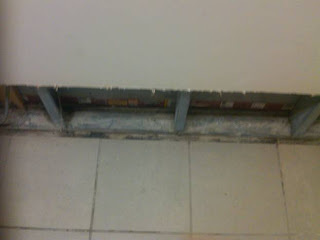 The rest of the floor of our building is still being cleaned up; our club is the first space to be put back in order. Please be careful in the hall outside the club, as stray work equipment is still around. I hope you like how the club has turned out. Thanks again to everyone who helped out, in ways big and small. Without our volunteer members, the club would still be a mess. 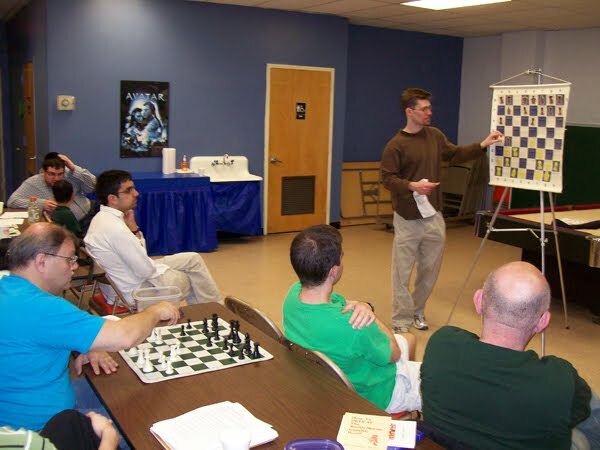 We are announcing that our $10 Underwater Open will be held in the Boylston Chess Club space on Saturday!!! In order to ensure the club is ready, I am putting out a call to all volunteers to come help clean up the club. I will be starting to put the club back into shape on Friday, April 9th, starting at 4PM and running until the club is ready to go for Saturday. A lot of work remains to be done, so please, even if you come by to dust off a shelf, any help will be needed and appreciated. You can even stop by on Friday with your $10 entry fee for the Saturday tournament. Saturday, April 10th, $10 Underwater Open. Thanks for your patience. Just a few more days and the club will be back to better than it was before! btw, Harold is on a roll in his section of the Paramount, leading with 4 wins and last night a draw with Tom Sifter. In order to get our club going strong again, we would like to announce that our event on April 10th WILL HAPPEN. Special event details below. Exciting, huh? Come and support our club as we seek to recover from the flooding. Time: Registration 9:15 – 9:55 ; Rounds 10, 12:40, 3:00, 5:10. Two Sections, Open and Under 1800 (if 5 players per section). Well, this is a chess blog, so this article's title should perhaps instead be Sympathy for the Opponent (O-O). If you are rated under 1000 in British rock music, Sympathy for the Devil is the title of a groovy Rolling Stones song, throughout which are scattered refrains of oo-oo. Between games in the early part of a 1987 tournament, I was chatting with N.N., a boy (13 years old at the time, if I recall correctly) who I'd beaten with Black the previous year. Around that time, N.N. was a chess student of this year's Boylston Chess Club champion, Chris Chase. This young talent told me, quite innocently, that he was getting a financial subsidy (for lessons, I understood) from a chess organization, but had to keep his USCF rating at least 400 points above his age times 100. At that particular moment in time, he was on the borderline of continuing to be eligible for that funding. He would soon be 14 years old, but had yet to break out of the 1700s into the soon to be required 1800s. I was already out of contention for a section prize, and couldn't help but think back to what he'd told me. I felt some sympathy for him, at a young age already under pressure to produce or be dumped by the way$ide. I played 30...Rh3+, after which Black is of course winning, and...I offered him a draw. After a short think (but still a far lengthier one than I'd expected! ), he accepted my draw offer. N.N. probably took that time, quite appropriately, to verify that I wasn't swindling him out of a win. When I saw Chris later at the tournament, I told him what I'd done. 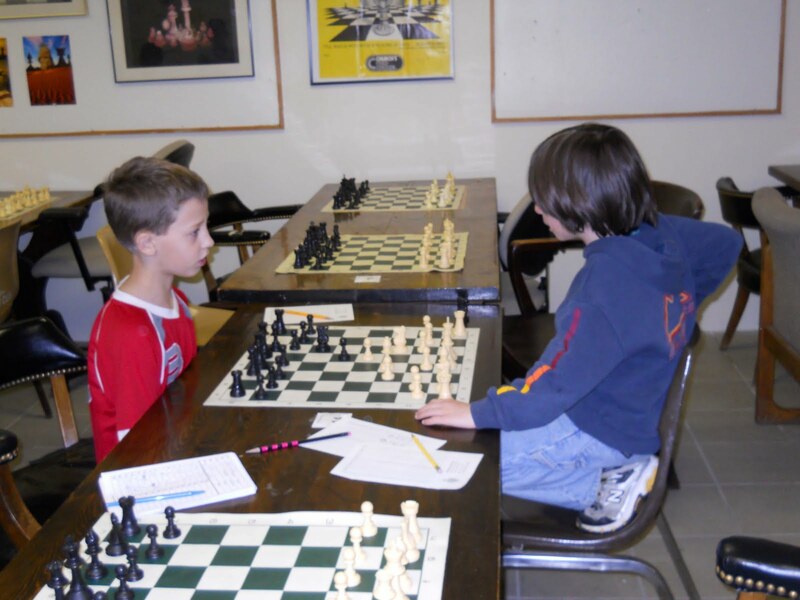 He disagreed with my decision to offer the boy a draw, emphasizing that "He's got to learn." I would eventually conclude that Chris was right, despite my sympathies at that tournament. Indeed, I need not have worried about N.N. -- USCF ratings history shows he made master several years later! Fast forward several years to 1991. In the last round of one of Joe Sparks' tournaments, I was White against Thuông Ngûyen-Khác, who, according to my recollection, was rated around a couple hundred points higher than I in our under 2000 section. 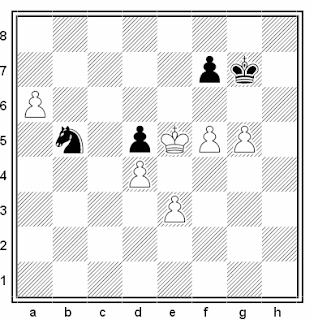 George Mirijanian's tournament crosstable from Chess Horizons shows Ngûyen-Khác's post-tournament rating as 2070, and my impression is that his pre-tournament rating as posted on the wall sheets was in that neighborhood. My matching Chess Horizons post-tournament rating is 1935. Never having been rated 1900+ on an official rating list, I was obviously under 1900 on the wall sheets. I played 10 Ne1, to which he replied 10...f5? 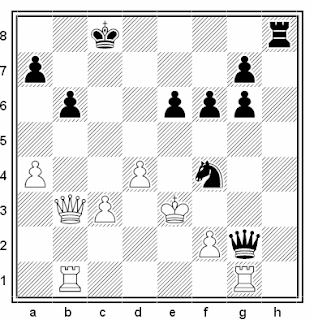 losing the f-pawn to 11 exf5 (11...gxf5 12 Qxh5; 11...Bxf5 12 g4). 3 months earlier, I had had the exact same position from the diagram against Guy (pronounced gee as in geese) Moreau up in Maine. That game went 10 Nd2? f5, followed by my complete collapse and a quick loss (4/11/10: Adding the rest of that game at the suggestion of the Bad Bishop to whom I refer in a later paragraph: 11 exf5 Nxf5 12 g4? Nh4 13 gxh5?? Qg5 "Oops." 0-1). Guy showed me the superior move 10 Ne1 in the postmortem. 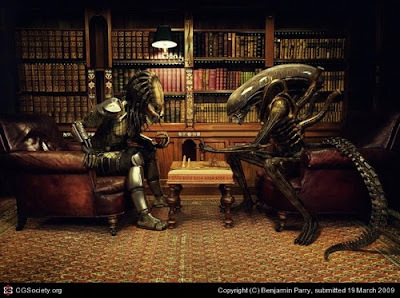 Heck, after a 13 move game, we had plenty of time to talk. Back to the diagrammed position. I felt badly that the almost 2100-rated Ngûyen-Khác had played 10...f5?, apparently without noting the difference in the position between 10 Nd2? and 10 Ne1. I remember him looking somewhat incredulous that what he (presumably) thought were moves straight out of theory had a gaping hole in them. I somehow felt that a player of his rating strength "shouldn't" lose because of such a gross oversight. After 11 exf5 Nf6 12 fxg6 grabbing my extra pawn, I offered him a draw. To my great surprise, he refused. I imagined he thought that I was afraid of his significantly higher chess rating. However, with his refusal of my draw offer, my mindset immediately changed from one of sympathy to one of "If you insist, I will take you to the cleaners. ", which I proceeded to do. So sympathy for my opponent worked out well for me in that game, boosting my rating to stratospheric (or subterranean, depending on the reader) heights. As White, I adjourned this 1995 Boylston Thursday Night Swiss game against longtime Boylston player Charlie Mays. I happened to have a small army of analysts, consisting of a Bad Bishop and two Lousy Pawns, working with me. 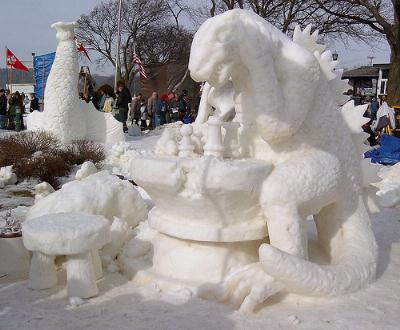 Their fine work quickly showed the position was completely won for me. I had been feeling sympathy for Charlie from the moment we resumed the game after the adjournment. His body language suggested that he felt like a rat trapped on a sinking ship. Yet here I was, having received the benefit of game-winning analysis from stronger players, analysis to which I had contributed little because I couldn't keep up as they rapidly cranked out variations. I suppose I should have considered that, before resumption, Charlie might have had two Good Bishops and eight Frighteningly Passed Pawns analyzing the adjourned position with him. Imagining that would have eased my conscience. 63 Kxd5?? which was followed by 63...Nc7+ 64 Kd6 Nxa6 65 Ke7 Nb4 66 Kd6 Nc2 67 Ke5 Nxe3 68 Ke4 Nc4 69 d5 f6 70 gxf6+ 1/2-1/2. If I hadn't experienced that counterproductive bout of sympathy, I like to think I would have worked harder throughout the resumption, finding 63 e4! 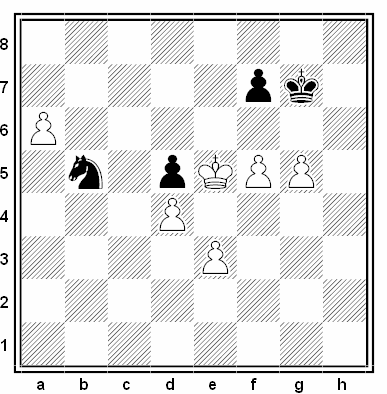 f6+ (63...dxe4 64 Kxe4) 64 gxf6+ Kf7 exd5 +-. Black will be steamrollered by White's pawns. crime-against-chess-nature bouts of sympathy since yielding that half point to Charlie. 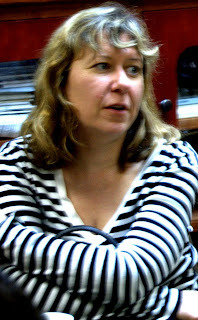 If you are a professional chess player and are experiencing such bouts of sympathy, you may do better to consider another line of work, but perhaps other amateur players have similar stories? A minyan (Hebrew: מִנְיָן‎‏ lit. to count, number; pl. minyanim) in Judaism refers to the quorum of ten male Jewish adults required for certain religious obligations. As you can see with the hair styles, this photo is of the BCC from the late 1960's or early 1970's about 40 years ago: the people sitting or immediately standing around the table constituted the BCC Metro League B team of the time. Mike Griffin is on the left, Charlie Mays on the right, the bespeckled man standing in the middle is Harry Slaben. I forget the name of the other gent. Note Harry always wore a suit, not uncommon for the older guys to do that, based on my clothes I would say it was fall or spring, but typically the club was so cold you kept your coat on- excluding summertime. BTW the person to the left having his back turned looking at the wall is Gerome Bono. 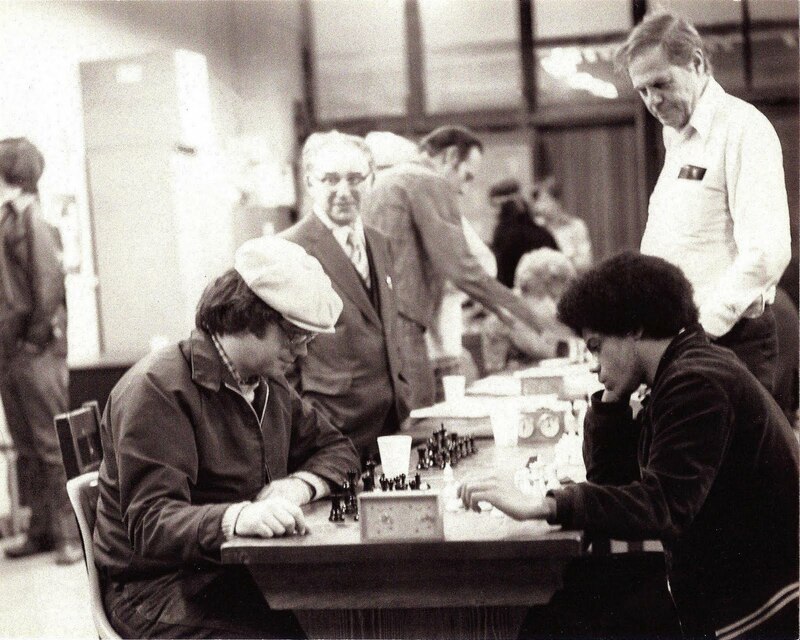 10 was the number Harry Slaben needed 40 years ago to say an appropriate goodbye to the passing of a fellow Jewish Boylston Chess Club chessplayer. Harry thought this would be a great goodbye. That day temporarily I became a super reformed Jew (jettisoning the newest of the testaments) and participated in Harry's minyan that said prayers for his buddy, whose name I can't remember. In 1993 the comedy TV show Northern Exposure in a show entitled "Kaddish for Uncle Manny" explained the importance of a quorum of 10 men participants and the problems of assembling a minyan in the wilds of Alaska. The Sunday before last the BCF Board met with a minyan + 1 to discuss the state of the flooding of the club. Sitting among the group of directors I was thinking how bright and capable these people are, and that the BCF is in very good hands. I have been in business and education working with leaders and managers for many years but can't think of a better more capable group of people in Boston chess to help guide us. Also we are getting help from many members in addition to contributions. In spite of the current mess we are in we are going to persevere. I predict OTB chess in Boston will be stronger because of confronting this crisis which makes each of us take inventory and recognize each of us has to invest something, in their own way, to keep chess going. Jason Rihel has to be commended and thanked as he has taken leadership of working thru this fiasco. And when the club dries up we will need some volunteers to put everything back in place. In a devastating one-two-three trifecta, the chess club has been completely demolished. This is a shocking turn of events. After two weeks of torrential rains and flooding, the club was in danger. When the sun came out on April 1st, we thought we had passed a major hurdle. However, Jason Rihel, who has been leading the cleanup and safety of the club for several weeks, had very bad news to report on Wednesday afternoon. "I went to the club to see if it was still dry after the recent 2nd round of waves, and instead I discovered that the entire club was destroyed. I was lucky to escape with my life," says Jason, through clenched teeth and stone cold stare. "Boy I wasted a lot of time trying to clean up the flood." Although reports are still uncertain at this time, there are whispers that an epic battle was raged in the building that once held the Boylston Chess Club, among other organizations. Among the smouldering ruins are telltale signs of a truely legendary struggle that left the club cratered. What could cause such vast destruction is still unclear at this time. We just found a severed arm whose DNA fingerprint matches with a name in the chess club's DNA membership database, local photographer, Tony Cortizas, Jr. That severed arm was still grasping a camera. On that camera were the following shocking images. Do they provide a clue to the last hours of the chess club? Only further investigation will tell. Happy April Fool's Day everyone. 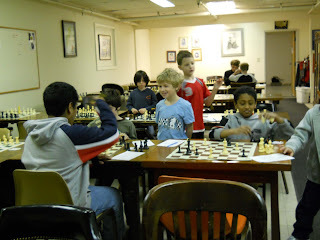 The chess club is doing fine (dry since Sunday), and we hope to be back at full speed very soon. Keep posted for more updates.